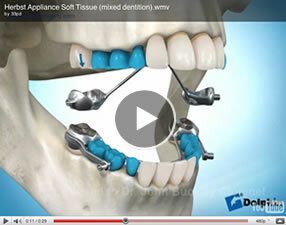 These appliances are used both to move the teeth and to modify the growth of the jaws . The most common objective is to correct a small lower jaw. 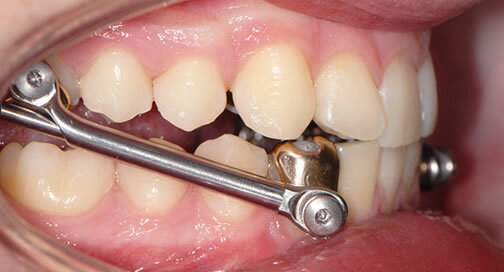 Occasionally a functional appliance, is the only orthodontic treatment that is required for a patient . However more commonly fixed appliances are also required and are either worn at the same time or after the functional appliance. Functional appliances when indicated are worn when the patient is going through their pubertal growth spurt . To help take advantage of the normal facial growth which is already occurring. Functional appliances are either removable or fixed. 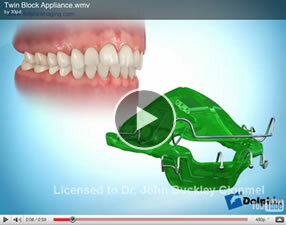 The most commonly used removable functional appliance in Ireland is the twin block . 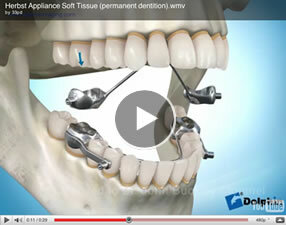 The Herbst appliance is the most commonly used fixed functional appliance. Dr Buckley uses both types and will discuss functional appliances at your consultation if this type of treatment is indicated.